Edit: As potential managerial candidates are identified, rather than putting up new posts on each one, I’ll add them to this post, originally put together in early September. The additions will be written in italics so you know they are new, rather than a Tony Kornheiser alter ego questioning the regular lines. The 2015 Nats are, at this point, a miracle short of making the playoffs. The lead they have to overcome wouldn’t be unprecedented, but it would be historic. There is plenty of blame to go around, including injuries, several big misses on evaluating bullpen talent, and more injuries. But the most obvious factor in this team’s troubles is Matt Williams and his inability to manage his unimpressive bullpen, his lack of creativity with dealing with lineup construction and playing time, his general poor decision making, and rumors of an unhappy manager-player relationship. Entering August, despite all of the injuries, the Nats were still in first place, until a string of defeats sank the ship, or at least scuttled it beyond the point of recovery as the water seeps in to the hull. I’m not going to get into all the details of what he’s done wrong, but I’m not the only one who thinks that he is not a very good manager. The worry is that they’d go down the same road and be no better off two years from now – an inexperienced manager who, given the chance, does not impress. And one thing I don’t want them to do is go and get some former great player, like Matt Williams. I don’t think they make great managers, for the most part. The last manager to make it to the World Series who actually received MVP votes as a player was Ozzie Guillen, managing the 2005 White Sox. The last truly great player to make it as a manager was Joe Torre in 2003. So, you won’t see Cal Ripken on this list. But they don’t have to get a former star, or a rookie manager. They could get someone with experience managing, in the majors or the minors. Someone who, you know, has an actual track record. Here are a few suggestions for people that could make this team better than the sum of it’s parts – or at least equal to it. This is not meant to be an exhaustive list, just a list of a few guys who make sense to me. I start with Knorr because he’s an obvious choice, but that doesn’t make him a bad one. He was thought of as a viable candidate when Williams got hired, and the players reportedly like him quite a bit because of his time managing them as they were coming up in the Nats system. That experience as an actual manager also gives them something by they can judge him. Hiring him may be an unexciting, uninspiring move, but those are not prerequisites to hiring a good manager. The other thing with Knorr is that they could hire him today. They could get rid of Williams and put Knorr in for a month. Does this accomplish anything other than the relief of seeing Williams gone, or is it too small of a sample, like judging a hitter based on a month of stats? I think it is worthwhile, and we can keep with the small sample size comparison. Judging a hitter based on stats over one month is premature, but judging via scouting is not. You can see if he looks overmatched, how he adjusts, if he looks vulnerable to certain pitches, etc. So if the Nats finish strong or weak in terms of record, that won’t tell us much. But how he manages on a situation by situation basis can tell quite a bit about his abilities. Porter was once thought to be the manager-in-waiting in Washington, before the Astros hired him away. That did not go particularly well, although it seemed he and the GM in Houston just did not get along. His record was awful, but so was the personnel, so there’s probably not much to go on there. As for his reputation of being an old school guy, Ben Lindbergh pointed out that this really isn’t the case, that he embraced plenty of outside-the-box moves. He’s currently the third base coach of the Braves, and will most likely get another shot at managing at some point. Skinner has some experience managing in the majors – he managed a bad Indians team in the denouement of their late 90’s glory days for a half a season, taking over for the fired Charlie Manuel in July of 2002. Without much on the roster other then Jim Thome, Bartolo Colon, and some players who would eventually be good, he went 35-41. They went with Eric Wedge, who had been managing in their minors, the next season. Skinner remained on the coaching staff until 2009, and major league bench coach with the A’s in 2011. His minor league track record is good. In the 90s he won NYPL (1995), Carolina League (1997), Baseball Weekly (1998), International League (2000), Baseball America (2000) and Sporting News (2000) manager of the year awards. He also won several league championships in those years. Since 2012 he has been managing the Chicago White Sox AAA affiliate, the Charlotte Knights. He gets bonus points for being a former catcher. The Panamanian former MLB outfielder has some minor league managing experience, taking the Giant’s Sally League team to the playoffs two of the three years he was there, from 2005-2007, and winning a manager of the year award. That’s not a ton of experience, and may not indicate much, but it’s actual real life managing experience that the Nats can use when figuring out who he is. Most intriguing about him, for me, though, is the last 8 years spent on the Giants coaching staff. Sure, that means he’s coached on 3 World Series winners, which is nice. But more importantly, he’s been coaching under Bruce Bochy for eight seasons. If he’s learned anything from Bochy, then he’s a guy that could make a very good manager. This is why you crowdsource! I didn’t know Terry Francona was potentially available, but he is. The guy that took the Red Sox to their first, and second, World Series victories since before the Armistice was signed has been a favorite of mine. He looked like a great manager with Boston, and his firing was always inexplicable to me. According to an article that @russelhuffman clued me in to, he can be pried away. Essentially, since team president Mark Shapiro left Cleveland, Francona can opt out of his contract. He has also stated he won’t use this clause for “leverage for another job” although not specifically saying he won’t leave if he’s not satisfied. Make no mistake, I think Francona is a difference-making manager. While I think plenty of managers can take away wins from a team, I don’t think many managers can add more than a win or two over the season. Francona is one of the half dozen or so guys that I think can add even more than those one or two extras to an expected total. If he’s available, the Nats should go after him. Murphy is currently the interim manager of the Padres. That organization may well keep him, he’s been .500 with the team since joining, which probably beats expectations. Murphy has an interesting background, in that he was Arizona State University’s manager for over a decade, winning the National Championship four times. But his time ended there when he was found guilty of recruiting and student-athlete employment violations, and he was quickly hired by the Padres front office. He started managing the Padres AAA affiliate in 2013, and continued to do so until being named interim manager of the Padres in July of 2015. In a move that is very rare in baseball, when he was still with the AAA team, the Brewers tried to hire him as an MLB coach, and the Padres wouldn’t allow it, despite it being a promotion. This gives some hint as to the likely availability of Murphy, but he hasn’t been named to a full time post as of yet. He also appears to have a sense of humor. Miley is a long time manager, starting in the Reds system in 1988 with their Sally League Greensboro Hornets. He worked his way through the system and eventually won the AAA International League championship in 2001 with the Louisville Bats. In 2003 he replaced Ray Knight after his 1 game interim stint replacing Bob Boone as manager of the Reds. Miley lasted until the middle of 2005, compiling a 125-164 record with a team that had trouble finding good pitching. Back as the Yankees AAA manager since 2006, he’s compiled a couple of manager of the year awards, both from the International League and from Baseball America, won an IL championship, and was inducted into the IL Hall of Fame. He also managed a Puerto Rican Winter League team in 2011-2012. He doesn’t have a good major league track record, but has been great in the minors since then. At only 53, it’s possible that he’s learned something in the last 10 seasons. If you’re into retreads, how about a pretty successful one? Gardenhire, 57, was fired by the Twins last season and is finishing up his contract this year, which probably explains why he “wasn’t in a rush” to get back in 2015. But he’s interested in managing again, and he was really good with the Twins up until his last few seasons. In his first 9 seasons managing in Minnesota, the Twins won the AL Central six times. He lost in the ALCS his first season, losing to the eventual World Series winning Angels. Four of the other five times they were run out of the ALDS by the Yankees. Some of his teams had real talent, like in 2006 with Johan, Liriano, Mauer, and Morneau. But he took some pretty suspect teams to the playoffs, like in 2002 when his best players were, in order of bWAR – Johan, Radke, Lew Ford, Hunter, Nathan, Carlos Silva, Juan Rincon and Corey Koskie. And this was a low payroll team, so even in 2006, behind the top shelf guys the names get pretty “remember him?” pretty quickly. He got fired after four 90 loss seasons in a row, but it’s hard to put all the blame on him. In 2013, for example, other than Mauer, his only hitter with more than 100 PAs and an OPS+ over 100 was Justin Morneau, at 102. In 2014, his only starting pitcher with an ERA+ over 100 was Phil Hughes. He’s a pretty good manager, but his lack of postseason success is certainly something to think about. As are some of his tendencies including his love of bunting. But he can be relied on to take the team to the postseason, and one more thing that may be interesting about him for Nats fans – his bullpens, no matter the personnel, almost always finished with a good ERA. It was top 5 in nine out of his thirteen years as manager, and his two worst performances were the aforementioned pitcher-less 2014 and a similarly-staffed 2011. Similar to Ron Gardenhire, Bud Black is a recently fired, well-respected MLB manager. He somehow managed to lead the Padres from 2007 all the way until earlier this season, when he was finally fired. Despite 9 1/2 seasons with San Diego, he never won the division or even made the playoffs. 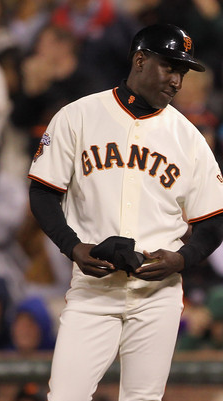 In his best season, 2010, he led the Padres to 90 wins with literally only two players – Adrian Gonzalez and Mat Latos. Another strong manager of relief pitchers (top 10 reliever ERA each season from 2009-2014), that skill may come from his previous experience as a pitching coach. He’s also considered to have done a very good job with the young starters that have come up through the notoriously cheap organization. As far as a history of real success, though, it’s just not there. The respect he has in the league is from taking an unimpressive roster and making it pretty good, for the most part. But it’s not from taking it to the next level. Whoever hires him next will have faith that with a more robust lineup, he will be able to go that extra step. Also, his daughter is a Maryland grad , which can only be considered a positive, both from having local connections and from clearly having a smart family. Cora is a career hitter .243/.310/.338, so despite 14 years in the league, he’s certainly not someone who you’d call a former star. If you’ve watched Baseball Tonight much this year, you’ve seen a bit of him. I’ve been very impressed with his approach to the game, especially when it comes to understanding the positive influences of analytics. He’s also got some organizational ties, playing as a backup middle infielder with the Nats in his final season. He doesn’t have much managerial experience, but has done some in the Puerto Rican winter league, which the Nats can use as reference. If you want an endorsement, I asked Keith Law for managerial recommendations on his 9/16 chat on Periscope, and he named Cora, said he was really impressed with him. Here’s another, from back when he was with the Nats, which is extremely positive, and worth a read. Phil Nevin is an interesting case, because while he wasn’t a superstar, or even a William-level player, he was an All Star once. He may be most famous for being drafted first overall by Houston in 1992, ahead of Derek Jeter, because of a lower potential signing bonus. In the end, Nevin signed for $700k, Jeter for $800k, and Astros’ scout Hal Newhouser (and 200 game winner) resigned in protest. Nevin hit 200 HRs, played mostly for San Diego, but got there the year after they won the NL pennant so he never saw the postseason. Nevin retired in 2006, and went into broadcasting, but soon left the booth to become a manager. He managed in the independent leagues for a few years before being hired to manage the Tigers AA team, the Erie SeaWolves in 2010. The SeaWolves went 66-76 and finished in 6th place, and at the end of 2010, Nevin was promoted to become the manager of the Toledo Mud Hens, the Tigers’s AAA team. His stint with the Mud Hens wasn’t great, and he was fired after 2014, going 121-167 while he was there. He was hired in 2014 to manage the Reno Aces (Diamondbacks AAA squad for those who need the Arizona connection). In 2014 they won their division, going 81-63, this year they finished 70-74. Nevin interviewed for the Houston job when it came up, but has yet to be given a shot at managing a MLB club. Interestingly enough, I found an profile on him from 2012 that, among other things, compares him to DBacks manager Kirk Gibson. 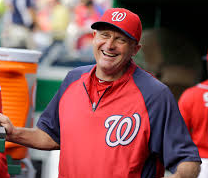 Matt Williams was a Gibson protege, and both are now considered failures as big league managers. But this was a comparison to Gibson’s fiery personality, and it was in April of 2012, the year after Gibson had won 94 with Arizona and looked to have a bright future. The comp was also made by Diamondback’s GM Kevin Towers, so it must be taken with a grain of salt. Still, chilling comparisons for Nats fans, I’m sure. My real worry about him (other than the Gibby comp and obvious ones that would come from any new-to-MLB manager) is that he was a pretty darn good player. Over six seasons he averaged a 133 OPS+, and then two years later he was done. And, as I noted above, being quite good at baseball seems to be part of the recipe for failure with many managers. His experience in the minors, though, as well as his struggles to live up to being the first overall pick, might make him a bit of a unique case in that regard. As I mentioned, one thing you might notice with this group is that there aren’t any former great players named. While there are some exceptions (Joe Torre, for one), I’m of the belief that former greats just don’t work out as managers nearly as well. Maybe it’s hard for them to relate (“Can you just, go and, you know, hit more like me?”) or that they can’t explain what comes so naturally to them or they were good enough to be used in an inelastic way so they expect everyone should be used that way, there just isn’t a history of great players being great managers. I also didn’t include guys like Bud Black, who have been MLB managers recently without any success to show for it, and haven’t demonstrated the abilities to make you think they’ll bounce back elsewhere. But there are managers out there who could make the Nats great next season, it’s time to start looking around for the one that is the best fit. Knorr is BY FAR the best choice. He should have been hired when the Nats made the mistake of hiring Williams. He has loads of management experience (in the Nats organization with many of the current players no less), and a winning managerial record. Most important, the players respect him and enjoy being managed by him. Unhappy player-manager relationships will result in losses, as Williams has proven. Knorr brings experience Williams never had, as well as respectful and happy manager/player relationships with these players neither Williams or any other candidate can replicate. Give Knorr the job he has earned and deserves. He is a great choice! I saw him manage when he was down in Potomac. Great manager! Has really good chemistry with the players. Has a really good mindset, I believe unlike Matt Williams he knows when and where to use the bullpen, however last night was not his fault. Knoor is a great choice! However, Rizzo seems to hire only personnel he personally knows from his Arizona days. This approach handcuffs the organization in many ways – bench players, managers, trades, and so on. He limits possibilities rather than expanding outside his comfort zone. Some may say it’s safe, but what does safe get you beyond being personably comfortable. It would seem one needs to expand beyond their comfort zone to excel – numerous books and evidence of it in sports and business. If Rizzo is committed to achieving excellence for the NATS, he MUST begin moving outside his comfort zones. Beyond Knoor, Francona is surely a top candidate IF he can be convinced to leave Cleveland. There are two important qualities a manager must posses: the ability to handle a pitching staff (starters and relievers) and the ability to observe and act on what he sees. This last item may be obvious, but many managers like Williams are so set in stone with what they are going to do, they ignore the obvious. For example: 1) 2014 playoff game 1 decision to remove Zimm in the 9th and 2) Wednesday night’s decision to remove Strasburg 3 pitches after he struck out the middle of the Mets order on the 6th. There are many others including Tuesay night decision to have Rendon bunt – despite Williams spewing his support and belief in NATS players, his behavior doesn’t match his words. One day, he shows no faith in Rendon’s ability to get a hit or get on base, yet the following day Rendon is good enough to bat cleanup. HeyMatt, what are you doing and what message do you send the player and the team. Best choices to replace him: Knoor, Francona, Skinner.